Sweet potatoes were on sale for 89 cents per three pound bag, so naturally I had to buy several. However, I only bought four bags because I know they will go on sale for probably even cheaper in the fall, so I didn’t want to go wild. Twelve pounds seemed enough for now. 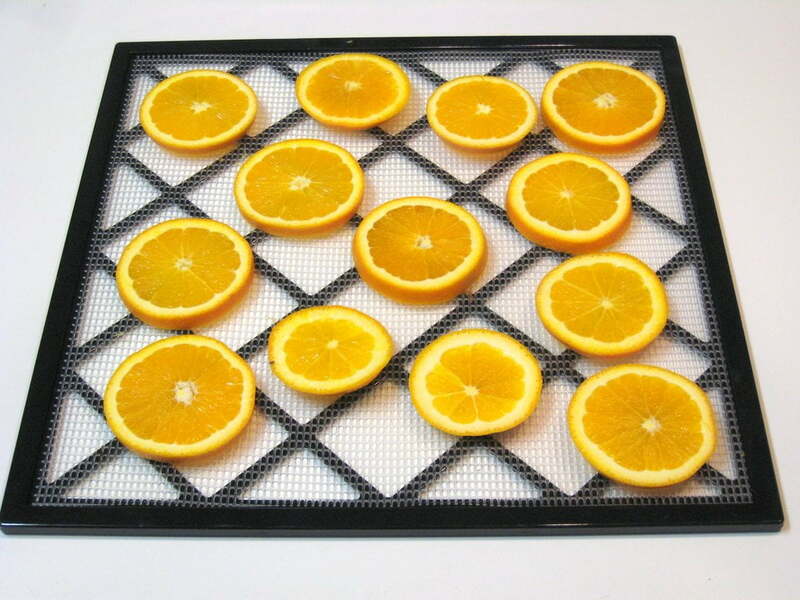 Awhile back, I posted instructions for orange bites – – lightly dehydrated orange section halves which are dry on the outside, but juicy on the inside. With one bite you get a “pop” of orange juice in your mouth, but your fingers don’t get sticky. Great for lunches. Dehydrated orange slices are fully dehydrated, and my kids’ new favorite snack. Four pound bags of navel oranges were $1.89 at Aldi this week. I’ve seen a better price there, but it’s still good. I only bought three bags, making orange bites, serving some fresh, and dehydrating orange slices. This is a pretty brainless process – – wash, slice, and put on the drying trays. I dehydrated my slices at 135 degrees for about 12 hours. However, I sliced mine pretty thin using my deli slicer. If you slice them thicker, it will take longer. I would say shoot for 1/4 inch thickness. 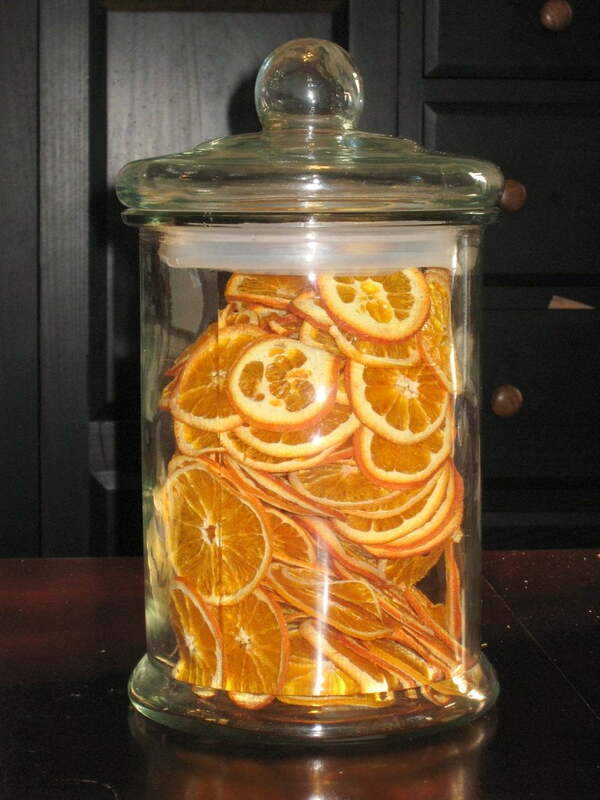 The sliced oranges pictured below are sliced thicker than the ones in the jar above. I’m playing around with thickness. 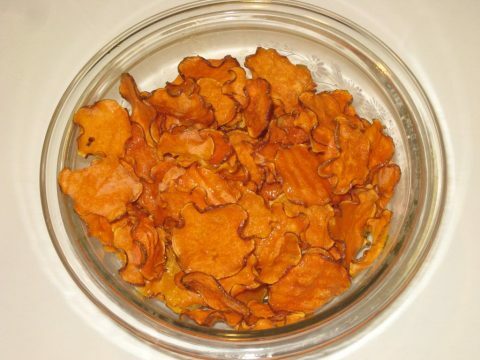 I originally intended on drying these for emergency purposes, and maybe to pretty up a pitcher of water, but then my kids asked to eat them – – delicious. A few slices temporarily satisfies their incessant sweet teeth, and they honestly feel like they are getting a treat. 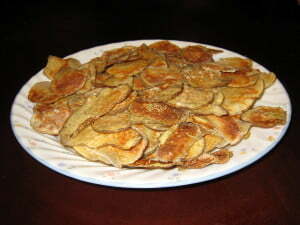 Instead of buying them the processed gummy snacks, I offer them fruit, which I dry myself. Much cheaper, and certainly healthier. I’m not exaggerating when I say dried pineapple tastes like candy, and I’m not talking about the sickening-sweet, sugar-added stuff you find in stores. With the exception of cranberries, dried fruit needs no extra sugar, as dehydrating the fruit condenses the sugars already. 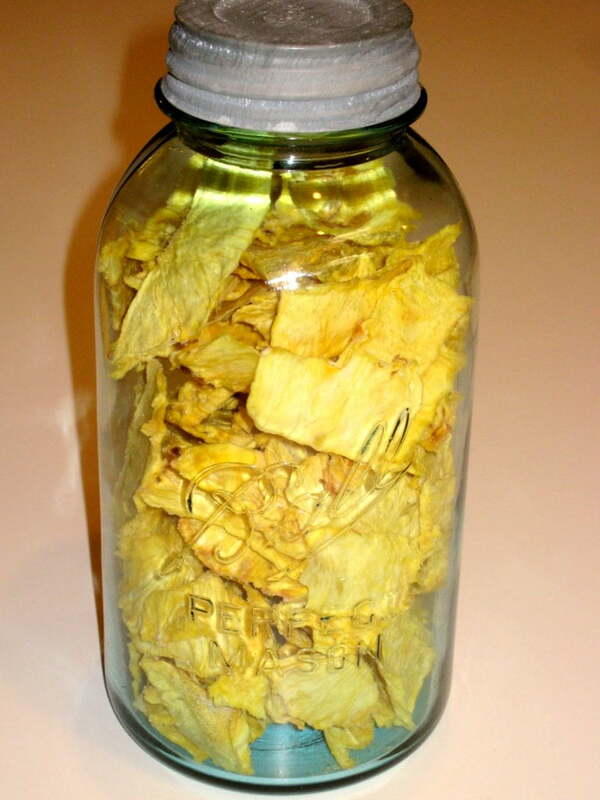 My kids can clear off a dehydrator tray of pineapple in no time, and I actually have to ration it out. We take a bag of it on road trips, and there are fights over who is hogging all the pineapple. I can’t believe this recipe actually worked. 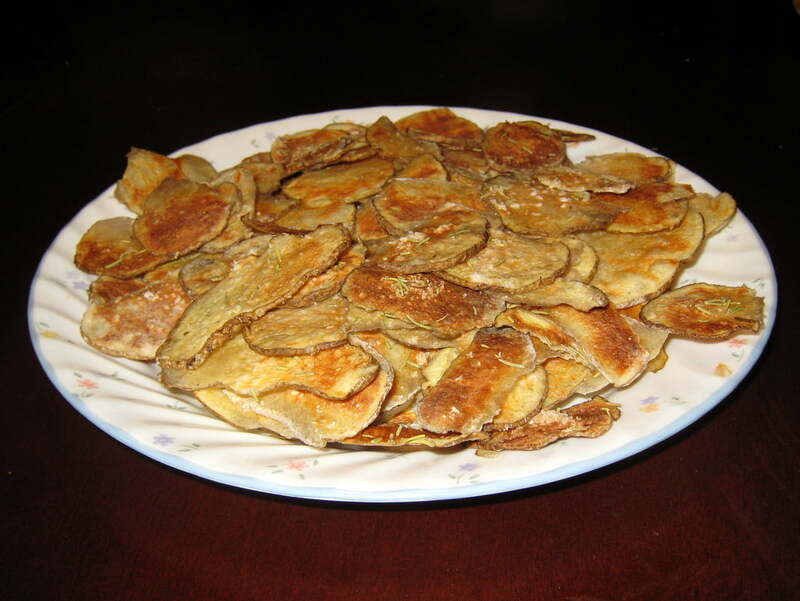 Who knew you could make potato chips in the microwave? With St. Patrick’s day in our near future, you can expect some killer deals on potatoes. 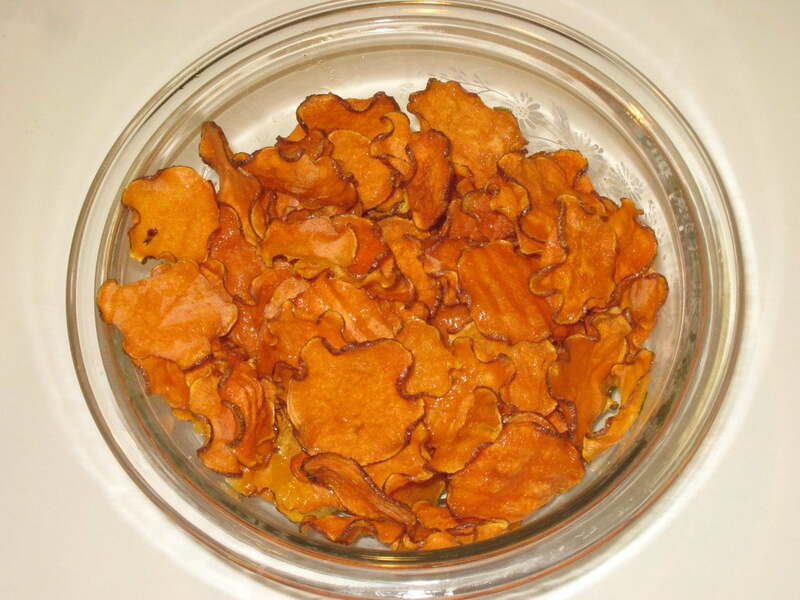 You should stock up and dehydrate some, and also try these chips. There are some things that just drive up your grocery bill without you even knowing, and granola bars are one of them. I find them to be overpriced, and really not that good unless chocolate chips are involved. 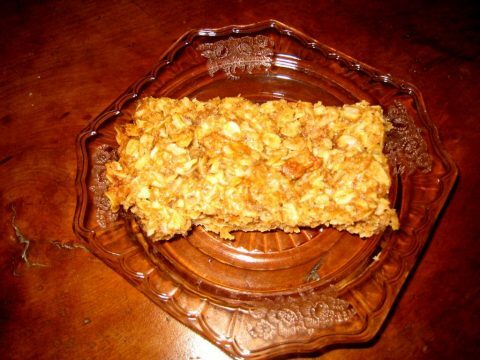 Making granola bars is an easy way to save on your grocery budget, and you can add ingredients touted on the wrappers of even more expensive, designer granola bars, like flax seed. Not are homemade granola bars higher quality, but you also get to clean out your pantry.